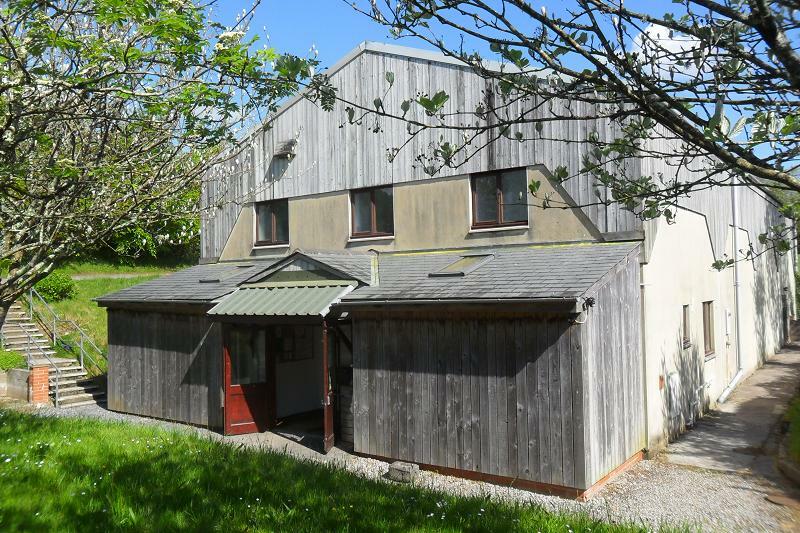 Harberton Parish Hall is at the heart of the attractive South Devon village of Harberton, 3 miles south-west of Totnes, in the lovely area of rolling hills, river valleys and coastlines known as the South Hams. This village hall, completed in 1996, is available for hire for a wide range of events. The main hall is very light and airy with a semi-sprung hardwood floor making it ideal for children’s play, dancing, movement/exercise groups and the like. Underfloor heating ensures comfort at colder times of the year. Acoustic soft wall blocks, curtains and an acoustic ceiling give a good sound quality. 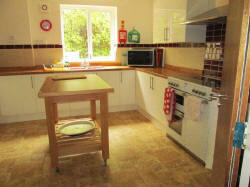 There is a large well-equipped kitchen, and a separate bar, each with a serving hatch to the main hall. If you would like to try out or join a group, contact the Bookings Secretary (see below) who will be pleased to put you in contact with the group organiser. Some may be fully booked already. Dedicated phone line for Hall bookings 01803 863014. Bookings Secretary: Mrs Jan Carne. The Hall can accommodate 150 guests seated at tables, or an audience of up to 200 in a close-seated arrangement for a concert, for example. The entrance porch, with store cupboards on each side (chairs, stage, tables etc. 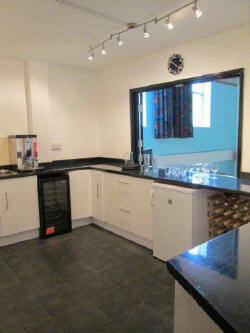 ), leads into a foyer with a small Meeting Room (sliding doors, not lockable) and then a bar on the left, and stairs, disabled toilet and the kitchen on the right. The small Meeting Room 3.6 x 2.9 metres (13’ 8” x 11’ 10”) may be hired on its own. The main hall is 10.25 x 16.65 metres (33’ 7” x 54’ 7”) and contains a full-height badminton court with approved badminton quality lighting and a wall colour scheme suggested by Sport England. Low-level wall-mounted spotlights offer an alternative form of lighting for a more intimate atmosphere, helping to lose the high roof. Ample power points are provided around the main hall. Upstairs is a viewing gallery (where up to 20 persons are permitted for concerts etc. ), the main toilets / changing rooms / showers, and locked storage cupboards. There is no permanent stage but a flexible system of stage blocks is available for hire. See here for details of stage system. 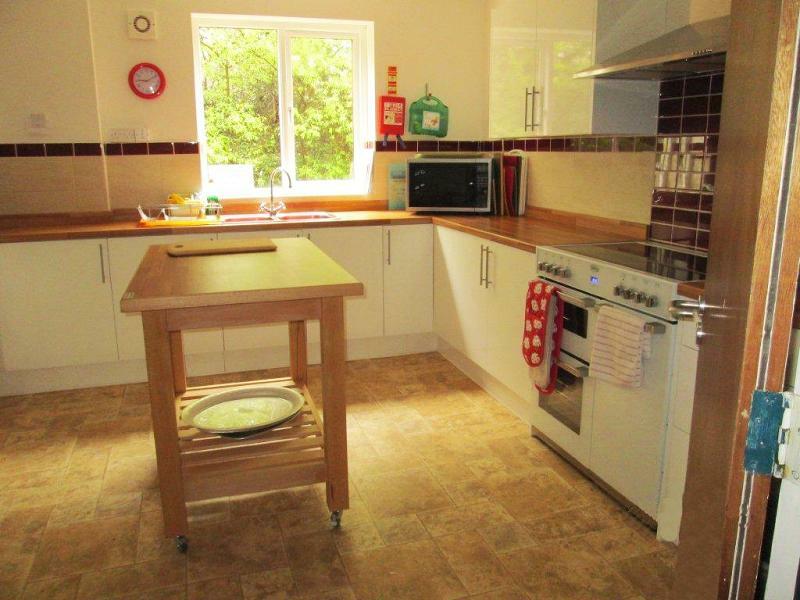 The kitchen, with a serving hatch to the main hall, is equipped for catering - with large oven, air extraction system, microwave oven, hot water urn, fridge/freezer and wheeled island. Crockery and cutlery for up to 150 place settings are available for hire. The bar has ample countertop space, fridge, wine cooler, kettles and an assortment of glasses. There is an extra charge for use of this facility. 18 folding tables - 610 x 1830mm (2 x 6 ft)), 200 chairs, 1 children’s folding table, 11 children’s chairs. Downstairs – disabled toilet with baby changing facilities. Upstairs – Ladies and Gents toilets / changing rooms / showers. Parking for up to 40 cars. Additional parking on the grass of the Playing Field by special arrangement with the Harberton Playing Field Association (ground conditions permitting). A wooden rail at a height of 2.67 metres (8' 9") is provided for affixing decorations. 2 pairs of steps are available. Nothing may be attached directly to the walls, e.g. the use of drawing pins, nails, tacks, BluTack, adhesive tape etc. is not permitted - except on the wooden rail. 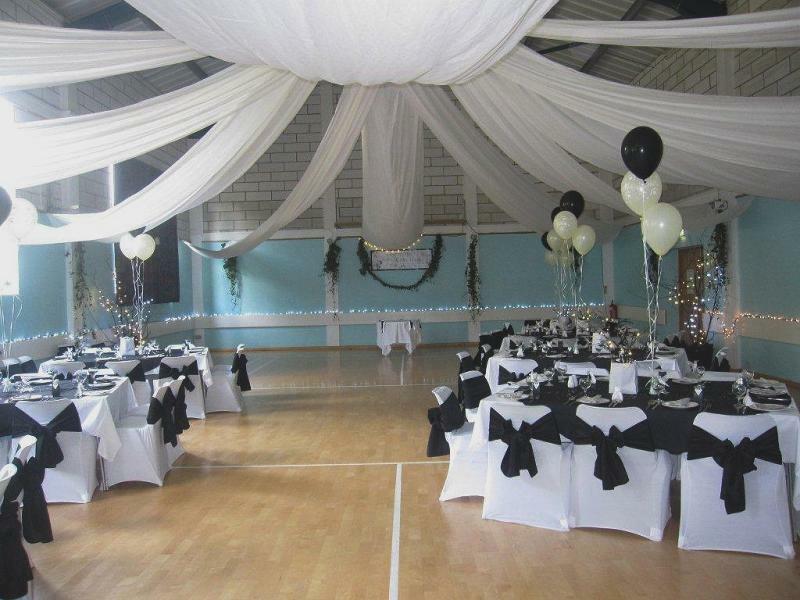 Strings of coloured lights, bunting and a white muslin marquee-type draped canopy (to lower the height of the hall) are available by special arrangement. Carpeted stage blocks are available by special arrangement. See here for details of stage system. An acoustic ceiling, acoustic soft wall blocks and curtains along one wall give good overall acoustics with or without an amplification system. The Premises Licence covers the performance of various forms of live entertainment and the playing of recorded music, but excludes the sale of alcohol. See the Premises Licence Summary. Any alcohol (above 0.5% ABV) which is being sold, either by cash, ticket or donation will require a Temporary Event Notice (TEN) available from South Hams District Council (cost £21). The hirer is responsible for obtaining the TEN. The maximum number of TENs for a single premises is limited to 15 per year, so please check with the Bookings Secretary if you intend to apply for a TEN. If alcohol is being given away, e.g. a free bar for a wedding or party, no TEN is needed. Bottles of alcohol being given as prizes in raffles and tombolas are exempt from the need for a licence if tickets are only sold at the event at which the draw takes place and if the bottles are sealed and for consumption off the premises. Badminton posts and net; 4 gym mats; table tennis table. Stage blocks, sets of crockery and cutlery, strings of coloured lights, muslin ‘canopy’. The Hall is next to the Playing Field and Children's Play Park with swings, slide, roundabout, climbing frame, bars, rocking horse and basketball post. Camping on the Playing Field is possible for Hall users by special arrangement. The Playing Field offers no facilities other than somewhere to pitch a tent. There is a small charge for this. Vehicles must stay on the car parks. 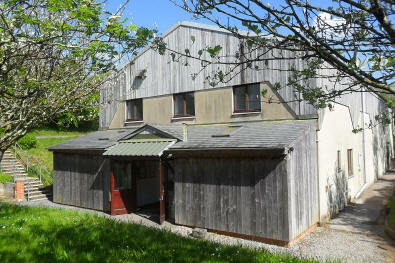 Harberton Parish Hall is situated about three miles to the south-west of Totnes. Take the A381 out of Totnes (towards Kingsbridge) and the take a sign-posted right turn towards the village. When in the village, take a right turn (signposted 'Parish Hall'); the hall is about 300m up the hill on the left. There are different rates for Harberton parish residents and non-parish residents..
All rates are inclusive of normal lighting and heating requirements. See details of Hiring Rates. In addition, there is a refundable deposit payable at the time of booking. Please contact the Bookings Secretary who will be happy to chat through your requirements and how we can help to arrange your event. For Harberton Parish Hall's entry on the website for Devon Community Buildings and Village Halls, see www.devonvillagehalls.co.uk/harberton.